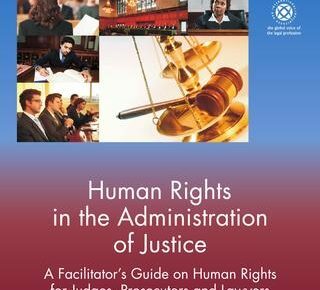 Geneva for Human Rights – Global Training (GHR) is a training organization. Through training, study and protection, it aims to bridge these gaps, and to empower all those involved in human rights promotion and protection. Its Global Training Department (GTP) conducts each year dozens of Courses and Seminars in Geneva and in the regions. Monitoring and analyzing UN human rights meetings, its Department of Human Rights Policy Studies (HPS) supports these training activities. Access to Justice, Training Judges and Lawyers, … these are themes we teach. 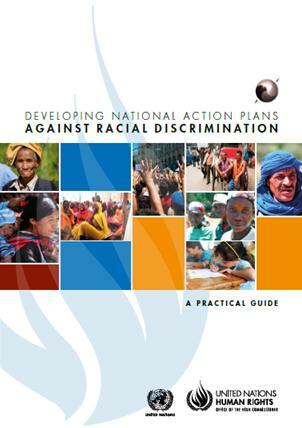 the national implementation strategies: implementing all the UN decisions and recommendations (resolutions, Special procedures, UPR, concluding observations of treaty bodies); elaborating and realizing public policies and national plans of action and in the field of human rights; the national institutions. GHR also lectured for partner organizations, including the World Council of Churches, UNITAR, OHCHR, the Universities in Galway, Lyon and Padova, the German NGO Forum and the F. Ebert Foundation (Berlin), Forum Asia (Bangkok), the German Network on Papua, Cordaid (The Hague) and Progressio (London). and, at the requests of the Swiss and Mexican Governments, from 2004 to 2008, a comprehensive training and mediation program in Mexico to support the process of the national implementation Programme; a similar project was launched in Botswana. The Geneva Courses are advanced Courses to train trainers. They constitute a unique intensive and interactive training, combining the theory, the exchanges of experience between participants (field situations) and the exposure to the multilateral reality (in the HR-Council), which the trainees monitor. 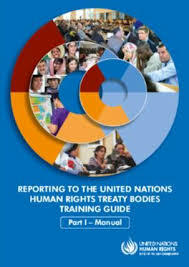 GHR elaborated a specific training scheme, covering all the stages of the UPR process: contribution to the State’s report; preparation of the stakeholders’ reports; review of the country in the UPR Working group; adoption of the report by the Group, and then by the HR-Council; follow-up in each country. In its Courses, GHR explains the potential NGO contribution. It teaches the long-term perspectives, the cooperation with the States, the use of all UN recommendations (special procedures, treaty bodies and UPR), to implement all rights in each country. As many NGO coalitions come to Geneva to attend the review of their country, GHR offers briefings and orientation at each UPR session. To sensitize actors at the HR-Council on such issues, GHR convened since 2009 Expert Seminars in Geneva on Caste Discrimination (2009), International Humanitarian Law (September 2010, June 2011), Trends in the HR-Council (March 2011), Transitional Justice (September 2011), Minorities (November 2011), Enforced Disappearances (Nov. 2012, Nov. 2013, September 2014), Religious Freedom (December 2012, June 2015), Business and Human Rights (May and December 2013, December 2014, June 2015), the Anniversary of the World Conference (June 2013), International Criminal Law (May 2014), Indigenous Peoples’ Rights (March 2014, July 2016), and Religions, Conflicts and Minorities (Padova, September 2015). Logically, HPS is entrusted with the preparation of GHR brainstorming sessions and Expert Seminars. Created in 2006, our Training Fellowship Fund for Defenders from the Regions enables GHR to offer fellowships to be trained in the Geneva Courses. A fellowship for a defender from the regions covers the fees for the course, the travel expenses to and from Geneva, and the cost of living in Geneva. The Bureau of GHR Executive Council awards the scholarships following the recommendations of GHR advisors and partners. In 2017, the Ebert Foundation (Geneva), UEM (Wuppertal), and the European Human Rights Advocacy Centre (EHRAC) contributed to the Fund. Fellowships were awarded to trainees from Georgia, Russia, Zimbabwe, Congo-DRC, Tanzania, Indonesia and Nepal. The HR-Council meets practically permanently in Geneva, with every year three ordinary sessions, three UPR sessions, special sessions, working groups on major issues. NGOs and defenders cannot each time undertake the expensive trip to Geneva. Thus, their effective participation in the work of the Council necessitates a permanent presence in Geneva. The debates of the HR-Council in Geneva constitute only a part of the action for human rights promotion and protection. Human rights are implemented by the country itself and it is critical to teach on the spot human rights standards and national, regional and international mechanisms and procedures. A sustained training activity in the field provides the local, national and regional movement with the basic knowledge on human rights standards, the international realities, and national and international mechanisms available. In-Country Courses reach a broader public and can focus on the specific patterns of abuses. Aim is to strengthen national capacities, to educate and sensitize public opinion and to use domestic and international mechanisms, to enable them to better raise their situation at international level, as well as to contribute to national implementation processes. Strategies must be elaborated from the bottom and GHR also teaches strategies for international campaigns and national implementation. 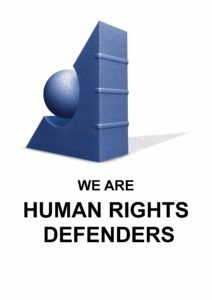 In many countries, defenders can use the UN and regional human rights procedures from the spot: communications to the Special procedures, shadow reports to treaty bodies, contributions for the UPR review, all can be submitted by fax and E-mails. There are also many OHCHR field offices, and several UN programmes have their own human rights projects. Thus, it is not necessary for each defender to come to Geneva.